What makes an intelligent investment? | Major Homes Inc.
What makes an intelligent investment? MANILA, Philippines – Whether it’s to ensure the survival of a firm or to secure a better life for an individual, an investment represents an intelligent, thoroughly studied move to entrust your hard-earned money on something of value. So what makes an intelligent investment? The real estate sector remains among the most practical and intelligent options as the value of property often increases over time, giving investors’ returns that are higher than expected. This holds true if your investment is placed with a reputable developer. Take realty developer Major Homes, whose Space condormitels located in various key areas in Metro Manila promise to completely redefine and raise the known benchmarks on Philippine property investment. With a total of three projects in the Space condormitel series, these developments allow future owners to rent our units on a per bed basis. This will give the Space projects a strong rental component that could guarantee good returns. Rising 28 storeys, Space San Marcelino, Space Romualdez and Space Taft condormitel are combinations of condominium and dormitory units that will be operated as hotels. Each property will be built near educational institutions, commercial establishments, hospitals, government agencies and other places of interest. “Space is a condormitel concept. It’s a condominium, dormitory and hotel that operates as one. It is a real estate asset for it is fully secured with a Condominium Certificate Title (CCT), can be leased out like a dormitory, and comes with service comparable to a hotel,” Major Homes president Jose Francisco”Quinto” Oreta V explained. Each of the units will be fully furnished with a minimum of three beds and study desks, giving unit owners the freedom to have their own spaces rented out on a “per bed” and not “per unit” basis, as well as greater chances to earn better profit. Unit cuts at the Space range from 15 sqm. to 19 sqm. According to Oreta, Space condormitels will particularly cater to students, BPO workers and transient residents seeking an upgrade from the typical bed space setting by giving them access to hotel like service, amenities and facilities. “It’s a win-win situation for both investors and end-users. Through the condormitel, we are able to create for investors a profitable investment model for end-users, Space represents an upgrade from typical dormitory experience,” Oreta explained. “Compared to other investments that are prone to theft and maintenance issues, Space condormitels will be managed for you and you will just wait for the returns,” Oreta said. “Imagine, an investor purchasing a three-bedroom unit at a little over P1 million and can have it leased out at the rate of P4, 000 per bed. With its profit earning possibilities, a Space unit owner can maximize his yield on rentals, receiving as much as eight percent on return on investments, not to mention the asset value appreciation,” he further noted. Future tenants of Space can meanwhile enjoy hotel-like amenities such as air-conditioned lobby, large garden, lounge benches and a sky garden. 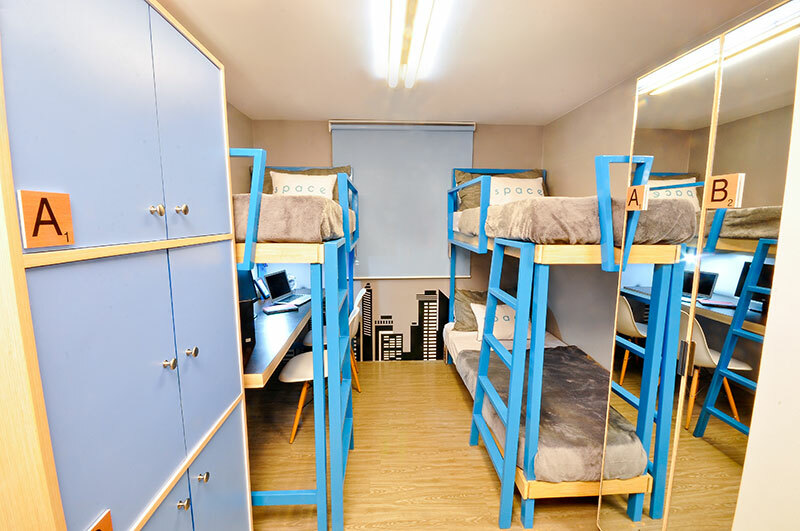 The condormitel is likewise equipped with fire and smoke detection system, water reservoir, standby emergency power, security card key, centralized garbage collection, high-speed elevator, CCTV, study hall, retail outlets- all of which would help ensure a convenient and secure living experience.